Amy Kumler Brunch on the porch at T's Café North. Amy Kumler Buttermilk fried quail. Amy Kumler Fried quail, bruschetta and beef carpaccio. Amy Kumler Beef, lamb and veal polpettone. 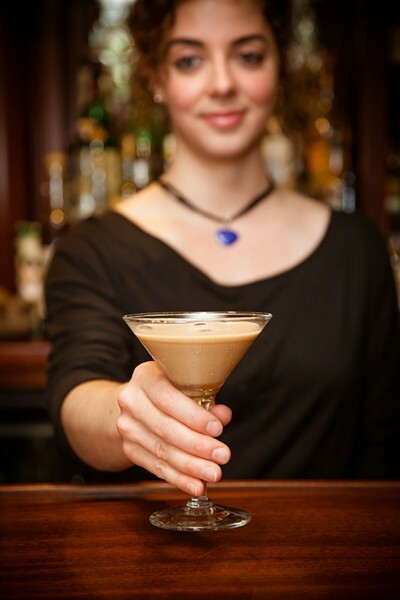 Amy Kumler The cappucino Martini. Amy Kumler Misheal Tanski with patrons at lunch. Good taste runs in families. 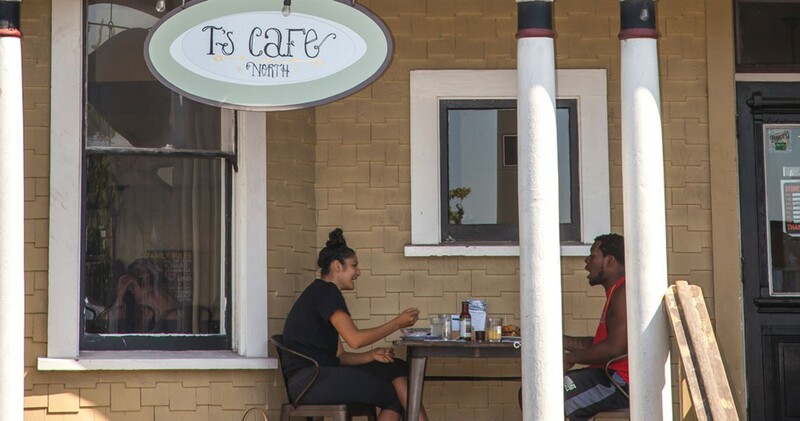 In Arcata, Halleh Paymard keeps her Southern California family's restaurant tradition alive with breakfast, brunch and Bloody Marys at T's Café North. And in Eureka, the Tanski family makes its home at Gabriel's with Italian dishes and remarkable wines. Misheal Tanski handles the bar Saturday afternoon between a busy lunch and a jam-packed evening. Tourists wander in off the streets of Old Town for glasses of wine. A retiree from Colorado sits near a window, sampling clam chowder with a glass of 2015 Briceland Arneis from Southern Humboldt. She appreciates the chowder and the Arneis. Tanski leaves the bottle. 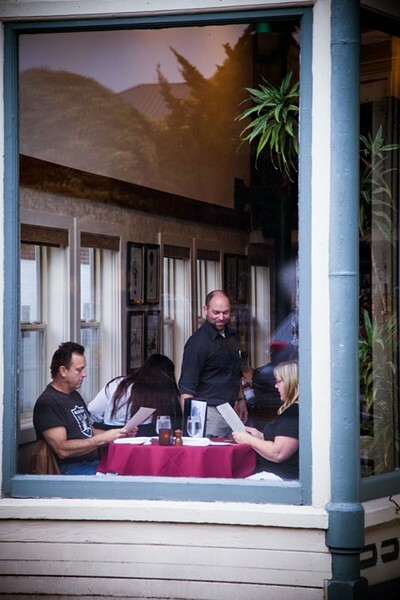 The Tanski siblings realized a dream in 2000 when five brothers bought Tomaso's Restaurant on E Street in Old Town and turned it into Gabriel's. The number of partners grew to 11 — three sisters and eight brothers — as more Tanskis reached adulthood. "They're pretty cool guys," Judah Tanski, 23, says of his siblings. "Honestly, we're all partners as soon as we turn 18," says Misheal Tanski. He's behind the bar mixing a drink invented by Likhi Tanski, bar manager. Misheal also owns Alta California Winery, where he crafts remarkable reds. Stepping into Gabriel's on E Street in Old Town Eureka isn't unlike stepping off a busy street in southern Italy. Swank décor includes barstools of dark polished wood and balcony seating with a view of a mural of Italy's Amalfi Coast. An afternoon apertivo — Italy's happy hour — might include Chloe prosecco ($8) or the 2014 Nocavero Verdeca ($8). Cool wines. Warm sunlight. With these, try bruschetta classico ($9) with tomatoes, garlic, basil and New Moon Organics cannellini beans, or the garlicky Manila clams with cherry tomatoes. 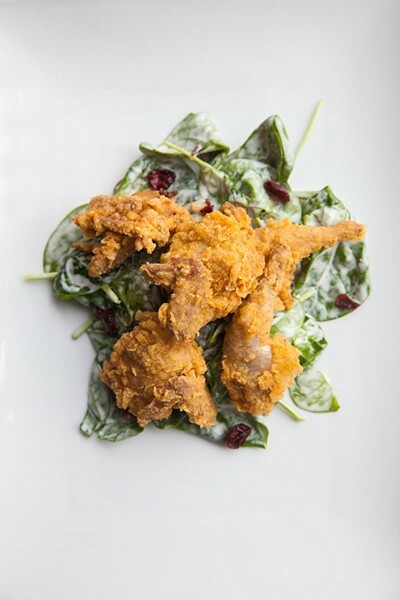 The buttermilk fried quail is a dainty and flavorful take on a comfort classic ($21). 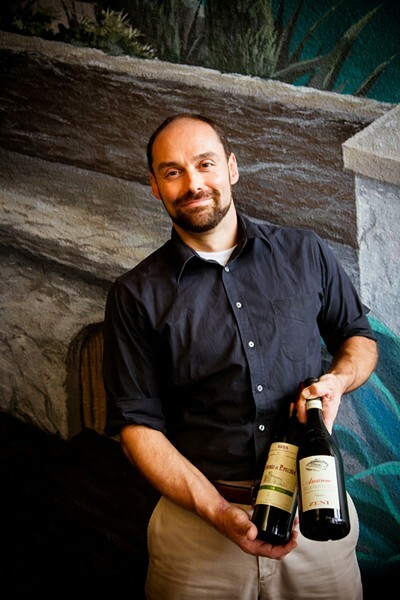 Gabriel's wine selection includes more than 50 Italian whites and reds. For locavores, Likhi Tanski stocks 16 reds and eight white wines from Humboldt. The booze menu is also extensive. Likhi is "into rum right now," says a sibling, and, indeed, 31 rums are listed. 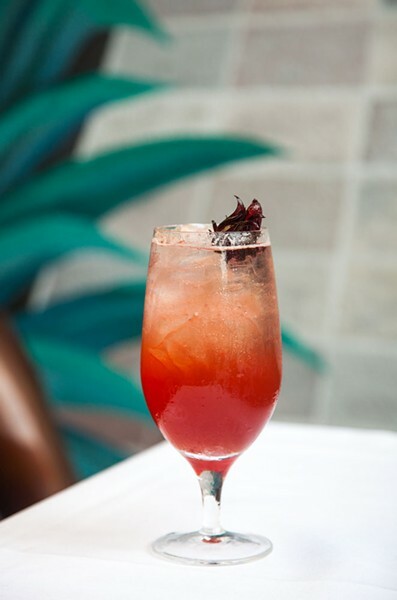 At the bar, Misheal carefully crafts a hibiscus rum cocktail invented by Likhi ($11), layers of liquors adorned with a wild hibiscus flower. The mixing begins with Providencia rum, hibiscus liquor and Amaro di Angostura bitters. Add citrusy Velvet Falernum and splash of St. Elizabeth Allspice Dram. Top with dark 151-proof Hamilton Guyana rum. Remind patron to stir before drinking. 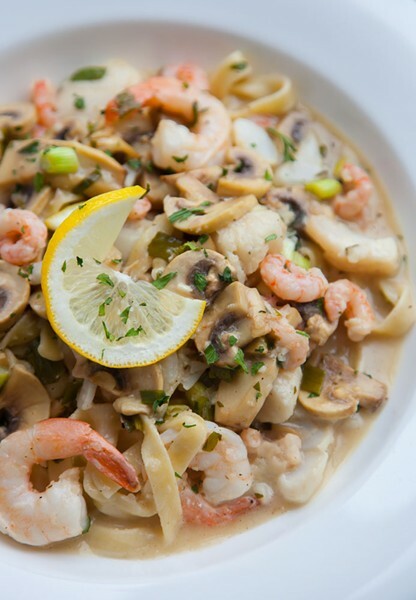 For dinner, sample Italian wines by glass or bottle with any of a dozen house made pastas — like the fresh fettuccine Frutti di Mare with garlic and white wine sauce ($21) — or meaty entrees. The 2010 Mocavero Negramaro ($8/glass) or 2012 Matane Primitivo ($39/bottle) augments the classic spaghetti and meatballs ($21), featuring local grassfed beef. 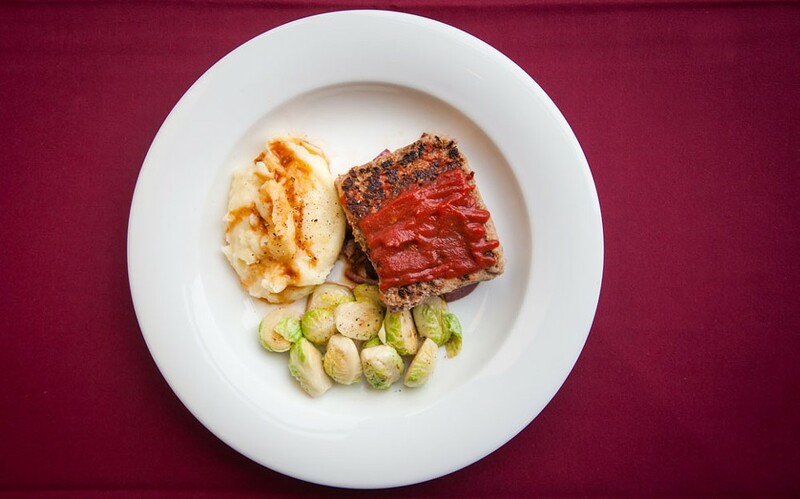 The rich polpettone (beef, lamb and veal) makes sweet love to your palate with the 2014 Pasqua Valpolicella ($10/glass). For both meaty dishes, you could also splurge on one of those Super Tuscans by the bottle ($139-$250/bottle). Drink the 2014 Mastrojanni Rosso di Montalcino ($45/bottle) with anything. Maybe a decadent serving of Sicilian rum cake ($10). Misheal, a dual citizen of the U.S. and Italy, credits skill in food and winemaking with attention to the influence of places we call home. Excellence happens when you appreciate the melding of cultural roots with home environment. "You like your place; you live in it," he says, now pouring his own 2013 Alta California Bordeaux-style blend from grapes grown in Orleans vineyards. "And this is what happens." Paymard, has been in the business of feeding folks since age 4. Paymard's father Moe opened T's Café in Solana Beach in 1978 and Halleh grew up in the food biz. When she was a preschooler, servers would pay her a quarter to refill jam pots on the tables. Halleh Paymard came up north and earned a degree in botany from Humboldt State University in 2000 and stayed here. For years, she hoped to open a T's eatery, Humboldt-style. She picked out the perfect location, a converted Victorian house on 10th and I streets in Arcata. But alas, the Crosswinds restaurant was already serving tofu burgers and buckwheat pancakes there. 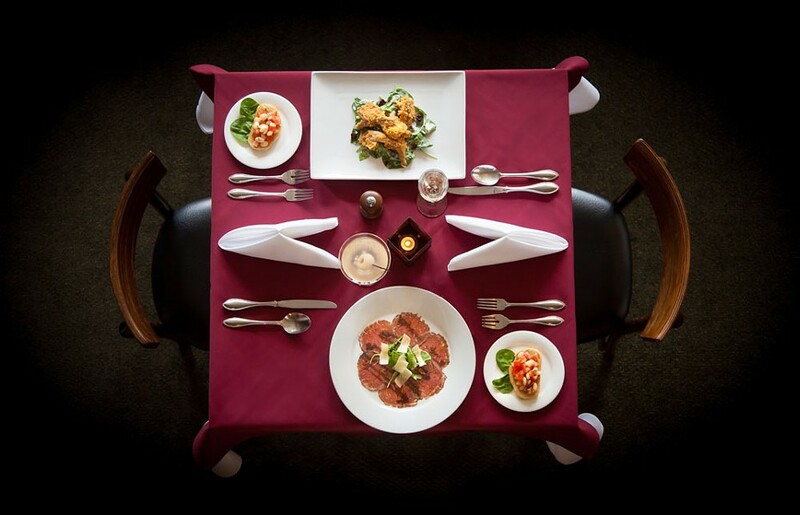 A few years later, Paymard was dining at Crosswinds when the owner offered to sell. Paymard's dream — T's Café North — came true in December 2013. Now a sign that says "I (heart) bacon" hangs over a doorway and savory sausage augments the gravy. T's still offers plenty of vegetarian options. Like the I Street Omelet with egg whites, roasted veggies, fresh greens, chevre and avocado ($13) and the Garden Scramble with broccoli, tomatoes, squash and jack cheese ($10). A satisfying breakfast might begin with a Bloody Coronita ($10). T's breakfast and lunch drink menu includes several Bloody somethings — like the Red-Eye Jedi with Pacifico — as well as a half-dozen fruity mimosas served in pint jars ($8). Breakfast is served till T's closes around 2 pm. The Shroomy Boomy Benedict, veggies, greens and goat cheese atop English muffin with poached eggs ($13) tastes as magic as a Saturday morning at the farmers market with roasted broccoli, corn, green beans and fresh dark leaves. The chèvre adds zing. For carnivores, the famed T's Cafe chicken-fried steak (cube steak lightly coated in crispy golden flakes, $14) comes with house made biscuits and glorious gravy. Let us pause for an ode to the banana stuffed French toast ($10), a tower of golden Beck's Dutch crunch bread with narrow slices of banana, seasonal berries and a drizzle of rich banana syrup. It's lighter than it looks. Share one for brunch dessert. No one will judge. 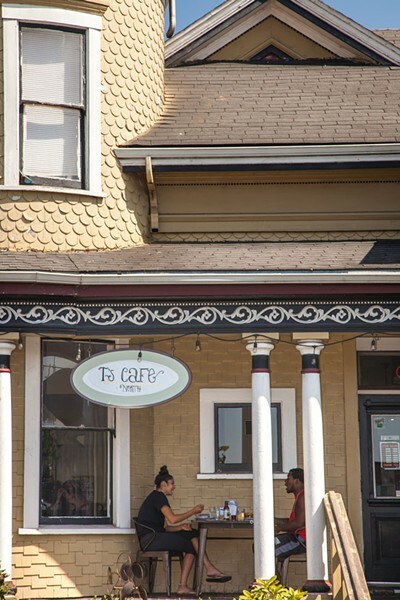 The funky menu of T's Café North resembles that of the Solano Beach location with a few Humboldt twists. Like vegan cashew gravy and a tofu scramble. Jars of ghee on the tables. Paymard even tweaked her father's famous Bloody Mary mix, eliminating the beef broth. Because Arcata.